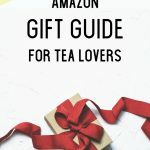 I have put together a list of recommended tea things in several categories for you to shop my favorites. 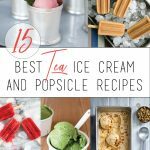 This list is based 100% on my honest opinion, personal preference and recommendations. I will be updating/adding items periodically so make sure you come back for new ideas! This is not an actual shop, so if you click through the images you’ll be directed to the seller. 1- MMU03 is currently my favorite Matcha! It’s from a new brand and their quality is amazing. Best to drink on its own. 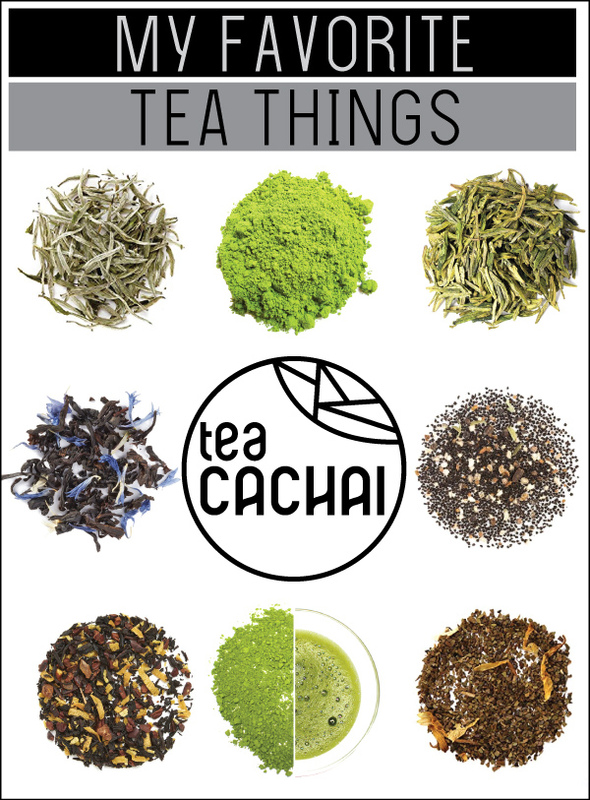 2- I love my Matcha Lattes and this is what I mostly use to make them. 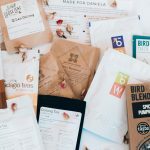 Check out their Instagram account for discount codes. 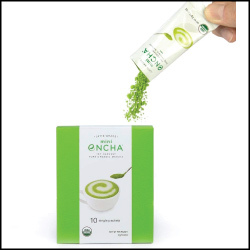 3- This is also a great Matcha and I especially like the individually wrapped sachets when I travel or when I’m on-the-go. 4- One of my all time favorites! 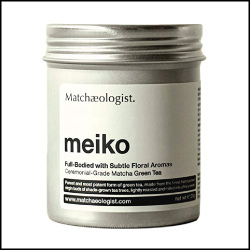 This is probably one of my favorite Japanese tea brands and their Matcha is amazing. Recently available from Amazon. 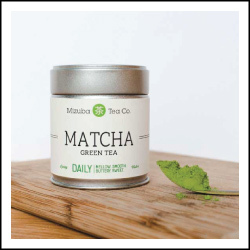 5- Another great daily Matcha from another good brand. They have different grades and I also love their Misaki premium blend. 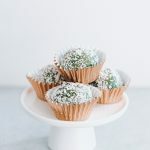 6- I love to cook with Matcha but it can be a little expensive. 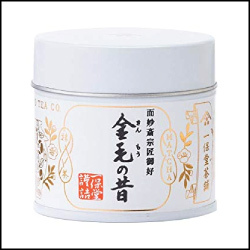 This is an excellent quality kitchen grade Matcha from my go-to Japanese online store. 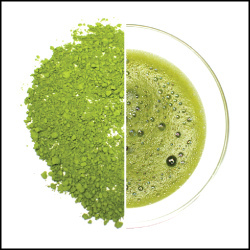 1- Chawans (Matcha bowls) are perfect for drinking straight Matcha because it’s easier to whisk than in a regular cup/mug and create froth. 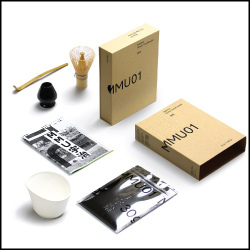 2- This is a great starter set that includes the basic tools to make perfect Matcha. 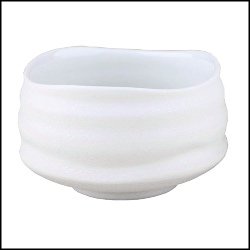 Bowl, scoop, strainer, whisk and holder. 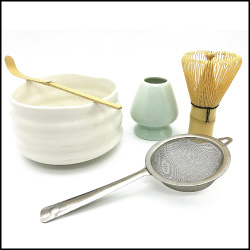 3- One of my favorite Matcha brands has this perfect starter set for newbies or as a gift because it includes Matcha + basic tools. 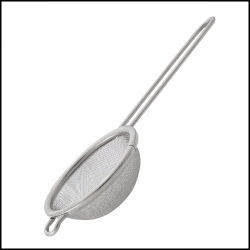 4- There’s a before and after using a strainer to prepare Matcha. No more lumps, ever! 5- I had another hand frother before buying this exact one. Life changer, makes perfect froth. 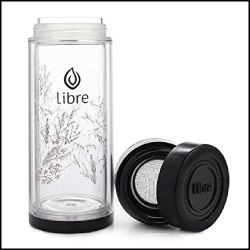 6- Great option for those who make tea/matcha on-the-go, at the office, after workouts, etc. Just shake it! 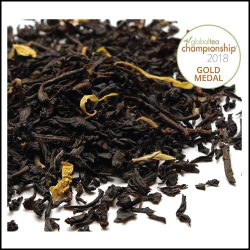 1- Adagio – Tiger Eye: Black tea, natural caramel flavor, cocoa nibs, natural vanilla flavor, natural chocolate flavor. 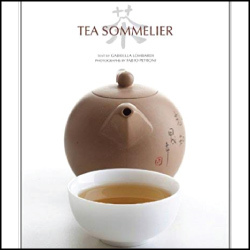 2- The Tea Spot – Bolder Breakfast: Black tea, Pu-erh, calendula, sunflower and dark chocolate, flavoring. 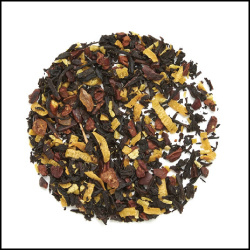 3- David’s Tea – Chocolate Macaroon: Black tea, toasted coconut, coconut, pecans, cacao nibs, rock cane sugar, natural flavouring. 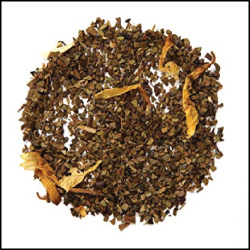 4- Teabox Tea – Assam Masala Chai: Assam black tea, cinnamon, cardamom, ginger, cloves and black peppercorns. 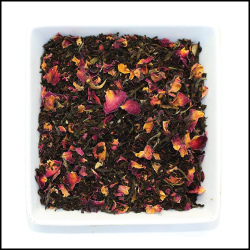 5- Tealyra – Rosy Earl Grey: Black tea, jasmine green tea, rose petals, bergamot oil, natural flavor. 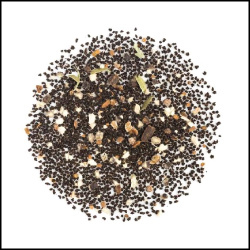 6- Adagio Teas – Mocha Nut Mate: Toasted mate, dark chocolate chips, natural hazelnut flavor, natural chocolate flavor & marigold Flowers. 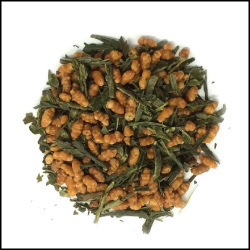 7- Yunomi – Genmaicha Green Tea: Made from organic ingredients, summer-harvested sencha and roasted rice grains. 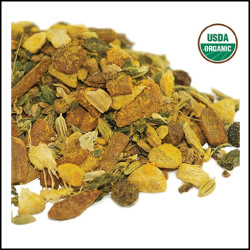 8- The Tea Spot – Turmeric Tonic: (Organic) Ginger, cinnamon, fennel, sarsaparilla root, flavoring, peppercorns, turmeric, nettle. 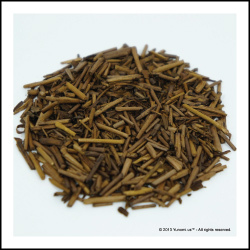 9- Yunomi – Hojicha Green Tea: Lightly smoky in flavor, and low in caffeine due to the summer harvest and roasting process. 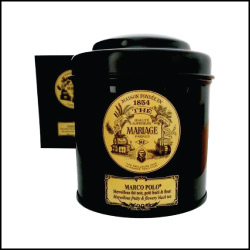 1- Mariage Freres – Marco Polo: The most iconic tea from Mariage Freres, fruity & flowery black tea. 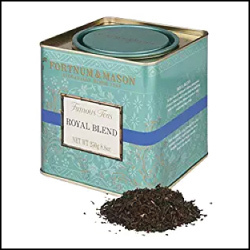 2- Fortnum & Mason – Royal Blend: Classic blend from this British brand. 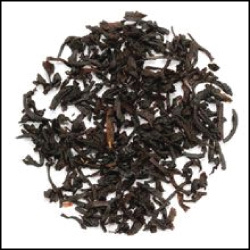 Strong morning tea, with malty, honey-like flavour. 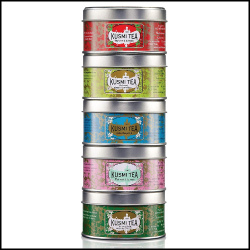 3- Kusmi Tea – Green Tea Assortment: Five green blended teas in mini tins from another iconic French brand. 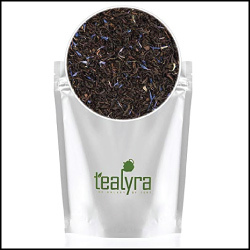 4- Tealyra – Cream Earl Grey: Smooth, modern Earl Grey. With a creamy french vanilla flavor. 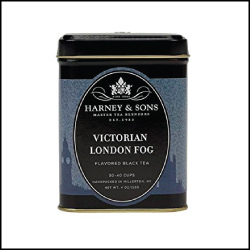 5- Harney & Sons – Victorian London Fog: Black tea, oolong tea, bergamot oil, lavender, vanilla flavoring. 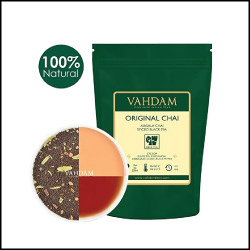 6- Vahdam – Original Masala Chai: Assam black tea, cardamom, cinnamon, pepper, ginger, clove. 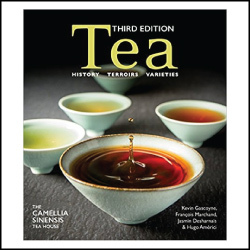 1- A book for tea lovers who would like to learn more about regions, tea types, processing and tasting. 2- Best selling book! 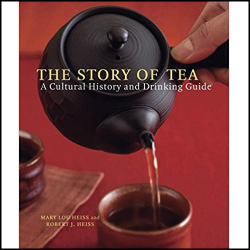 Topics include varieties, processing, cultivars, making-serving-tasting tea, tea ceremonies, and tea in cooking. 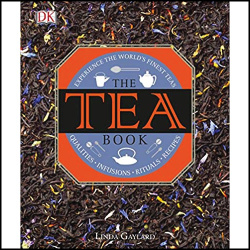 3- Great book and tea guide to get deeper into tea. It includes a mini tasting section. 4- A great book for absolute for beginners. Very dynamic and entertaining. 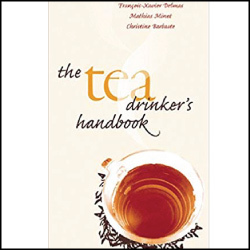 5- This is a very helpful guide and reference to help train your palate and guide you through tea tastings. 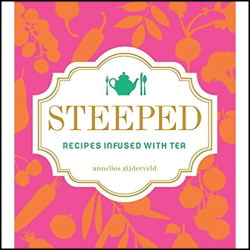 6- This is a great book for those who’d like to learn to cook with tea. 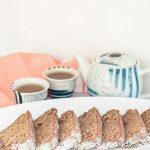 You will find many great recipes! I will be adding more categories based on requests and feedback. Make sure you save this page and come back again to check out any updates, I made it easy for you !